June Global Healing – Please help and let’s ALL go home!! Hello everyone. I am sorry for not posting in a while. 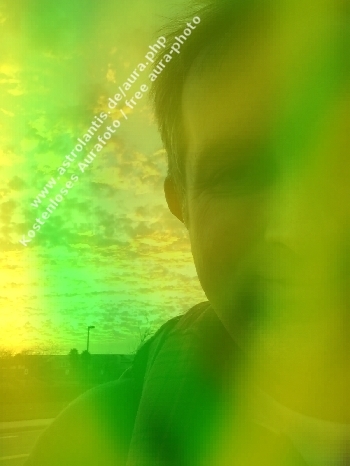 I have been going inside quite a bit and connecting with my I AM Presence more fully at these times. 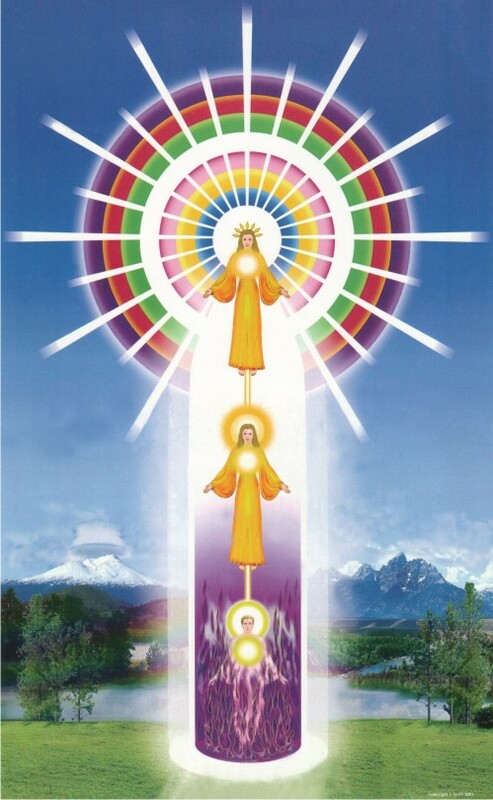 So much has been revealed to me regarding the ascension and what is currently occurring on Earth. May I say that wonderful things are coming to all of humanity in the upcoming now moments as there really is no time and space in the upper realms. You came here for one reason and one reason only: TO ASCEND!! When you ascend, you become immortal and you become the light. The light is who you are and the light is your home. The good news is all of you will ascend. There is no getting around this. Ascension is an individual process and you ascend when YOU have removed all of your discord of your outer self. This means that you need to work on yourself and all the release work needs to happen before you can ascend. No amount of energies coming on earth will remove the work that you have to do to become the light that you already are. It does not matter whether the energies are from a full moon, new moon, blood moon, solar flares, equinoxes, ISON spaceships, or any other source. Discern any messages that state otherwise, especially ones that give dates in the future of an event happening. The energies that are coming here are energies that force you to see what you need to do to release the things that you cannot take with you when you ascend. All of this that is happening on earth is about your individual ascension work. But the work is your work. You are your savior, and nobody else. You cannot escape the karmic laws of cause and effect as everything that you do is a cause of a future effect that needs to be balanced. The violet flame can transmute this, but only to an extent. You must realize from the heart what you have done and how you have affected another with your words and actions and make this right to release this from your mental and emotional bodies before your ascension can take place. Then, and only then, can you can merge your physical body with your mental body and elevate it to the electronic light body and ascend into the light. So what is happening at this time? Earth, and all its inhabitants, is currently in a process of healing. Before you can see positive changes on Earth, humanity must awaken to their own true Divinity. This is happening now. Humanity must understand and accept that each person is a Divine Being of God, a Son and Daughter of God, and that each soul has the Divine Presence within, the I AM Presence. You must see each person as a Divine being of God. Thus, you cannot be mad at someone that has hurt you. You must forgive them, regardless of what you perceive they have done. For global positive change to occur for all of humanity, the healing and awakening must come from the top of the people in control and power of the “systems” and work its way down. These individuals must awaken and realize who they are and what impact their decisions and choices are having on the rest of humanity. Only love will get you through the heart portal to your rightful ascension. All pain, suffering, hurt, anger, blame, fear, negativity, lack of forgiveness, lack of self-love, greed, need, and lust must be removed from your outer Self. With this said, I need your help and I am asking for your assistance. For the next month or so, I will be doing energy healings on various groups of people and animals that have an effect on how we live our lives. The purpose of these healings is to help awaken these people to their own Divinity so that the pain and suffering that is caused by their actions can stop and love can then flow to the masses of humanity. For example, military people need to see that nothing good comes from war for war to end. When the leaders and people who are in control and power awaken, their I AM Presence can take charge and decisions that benefit all of humanity can be made. Change can only come from the heart and from within, and the hearts of all the world leaders and people with positions of power and control that affect humanity needs to be opened. Below you will find a list of who will be healed on a certain day. The healing will last approximately one hour. I respectfully ask that you send peace, happiness, joy and love intentions to the energy healing and to those beings healed on that specific day. You can do this at any time of the day and your intentions will be included. There is strength in numbers if the intention is love based. Neither I, nor anyone else, can force any change on any person as we all have free will. However, I will ask the I AM Presence of each soul being healed to be present and ask that Presence to expedite the awakening of that soul or do for that soul what is in their best and highest good with respect to a quick awakening. Here is what will happen during the energy healings. I will ask Arch Angel Michael to protect the energy healing and all involved by reciting a certain invocation. I will ask all Deva Angels, Seraphim and Cherubim Angels and all other angels to be present and sing over the energy healing. I will ask Arch Angel Raphael to place his emerald green light and energy around each person named in the healing for that day. He will remove all diseased energy, stuck energy, and anything that does not serve that person’s highest and best good or that is not of the light. He will move these things into the light where they will be transmuted to love. I will bring in Saint Germain and the Violet Flame and he will blaze the violet flame through the energy matrix of the persons or animals being healed. This will transmute anything that does not serve the person into the light. This will include all the chakras, the meridians, the physical body, the mental body, the emotional body, the etheric body, the causal body, the spiritual body and the inner and outer aura. I will cleanse and energize all the chakras of all the animals and people involved in the healing. This includes, sealing the chakras, activating the chakras, and energizing the chakras with liquid white light, and prana color healing colors of red, orange, gold, green, blue, and violet. This also includes using three Reiki symbols as well as spinning and opening all the chakras. I will bring in the members of the karmic board and ask that all karma, cords, and attachments to be removed that can be removed allowing an acceleration of awakening for these souls. I will bring in Ascended Lady Master Mother Mary to place her Sacred Heart into the hearts of each soul being healed so the Christ Consciousness can flow through this Sacred Heart. 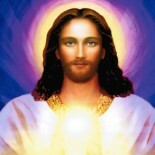 I will then place the Golden Energies of the Christ Consciousness into each soul through their Sacred Heart. I will take each soul into their hearts so they can see the beauty that is there, so they can see the magnificence and the glory of their being and how truly loved and guided they all are. I will show them their light body and the purity of their hearts. 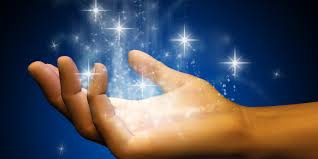 Each soul will etherically ascend at this time during the energy healing which will open up the gate for them to move forward in their ascension through their hearts in physical form when they are ready. I will ask the seven Kumaras to over light each soul allowing a quickening of awakening. I will ask Elohim Cyclopea to open up their third eye so they can see the beauty and Divinity of each soul around them and as to what they are doing with their past words and actions. This will complete the energy healing. Mother / Father God (Source / Prime Creator). It is time to bring home to the Father’s Heart our brothers and sisters that have played the dark roles. It is time to embrace them all and bring them into our hearts. They are YOU, as we are ONE! It is time to lend them a hand out of the quicksand that they have created with their thoughts, emotions and feelings of the outer self. Thank them for allowing you to expand your consciousness and learn all that you have learned. Love is everywhere and it is here NOW. A new world is here and within your grasps and it happens with your individual ascension. We ascend collectively but the work is individual work that we all must do individually. With that said, below you will find a list of souls that I will be focusing on with the upcoming energy healings. There is a date that is included as to when the healing will take place. Again, I respectfully ask for your assistance in sending your love based intentions to these healing sessions on a daily basis if you can. Repost this on your Facebook walls and get the work out so more people can send their love. This is a BIG thing that is being done for all of humanity and is a joint operation with the company of heaven. It takes but a few minutes or so of your day but has a tremendous impact energetically. You are all workers of the light. Let’s clean up Beautiful Gaia and all the souls that are fortunate and blessed to be living here. She deserves it and let’s all go home back to the light!!! All Personnel Related to the Mafia, Drug Cartels, Drug Dealers, Assassins, or any Underground Establishment Based on Fear, Intimidation, Extortion, or Coercion of Others. All Management Personnel and Employees of all Global Religious Organizations, the Vatican, and all Priests, Decans, Bishops, Cardinals, and the Pope. All Management Personnel and Employees of All Oil and Gas Related Companies, Including all Gas Stations. All Poor Areas and Slums of the World and the Affected Souls in These Areas. All Rapists, Murderers, Child Crime Individuals, and Anyone that Has Hurt Another Physically, Emotionally, Mentally, or Sexually, by Intention. All Military Veterans from All Countries and Military Service Personnel from All Past Wars. Affirmations to be stated which will be given out at a later date sealing these healings. Wow… Andy, an awesome post. Pat Grabham. (Sorry I typed Meline just before, which please delete that, sorry). Wow… Meline, an awesome post of light, love and healing. Please let us know when a new list will be available. Facing cancer surgery very soon and would very much appreciate the love and support. please add me to the june global love meditation team! WOW Andy !!!!!!!! What a beautiful work you are going to do. Thank you ! Be blessed for all you do. I love you. I’ll be there every day to support this magnificent action !!!!!!! Dear Andy, thank u so much for sharing this, its bliss to read your mails, i will surely send love energies to those mentioned in the list. Lots of love, nimisha zaveri. 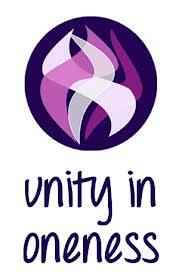 I will participate in this healing process i June to heal the world. And I would love to be on the lovebomblist as well. this “Operation Prayer Power,” that has been used all over the world by people & the Ascended Masters of the Great White Brotherhood! It will be my honor and privilege to be a part of this!! This entry was posted on May 28, 2014 by Andrew Bojarski in Andrew's Posts and tagged Arch Angels, Ascended Masters, Ascension, Awakening, Chakras, Channeling, Energy, Energy Healing, Healing, Higher Self, Love, Meditation, Spirituality.